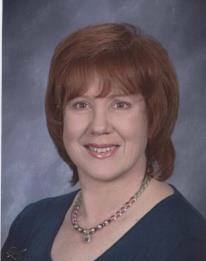 Michele Eva Davidovich, 62, died on April 3, 2019 at her home in Peoria, AZ where she lived for the past 5 years. Michele was born on June 22, 1956 in Great Lakes, IL, the daughter of Walter L and Eva Davidovich. After moving several times while her father served in the Navy, she spent most of her life in Poway, CA. She was a graduate of Poway High School class of 1974, and earned an AS in Computer Information Science from Coleman College, San Diego. She was a certified Medical Administrative Assistant in Billing and Coding, and a Certified Medical Assistant. She originally worked in the computer industry, then for 17 years as an Accounts Payable Clerk for Crest Beverage Company in San Diego. She devoted several years as a full-time care giver for her aging parents, and was deeply affected by their passing. The past few years she worked as a Senior Tax Preparation Specialist for H&R Block in Arizona. She said that she eventually came to realize that although most of her jobs involved working with numbers, it was the human interaction she was looking for, and she found the most joy when helping someone on a personal level. Michele was an avid crafter and baker. She enjoyed celebrating her Ukranian heritage, especially during holidays. Michele was the sister of the late Walter Davidovich. She is survived by her sisters Pamela Berrios and her husband Ruben of Patterson, CA, and Nora Waterman and her husband Roger of Julian, CA, and her brothers Paul Davidovich and his wife Maureen of Longmont, CO and Keith Davidovich and his wife Denise Tallman of Pascagoula, MS, as well as 8 nieces and nephews and 5 great-nieces and nephews. Funeral Service will be held at 1030 AM Friday, May 3 at St Michael’s Church in Poway, CA. Burial will be private. Donations to your favorite charity in memory of Michele are suggested. Many days and Nights crafting during the years. Michele always wanted to try new creations and did them well. she will be missed.